Buffets chinese There are 67 products. 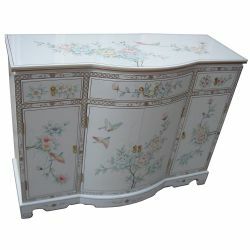 Buffet with painted chinese motifs, birds, cranes 3tiroirs and 2 doors.Dimensions: L111 x P40 x H86 cm. 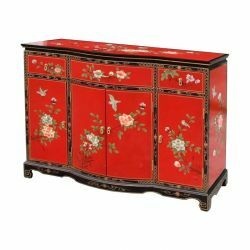 Buffet lacquered chinese.The drawers of this furniture from Asia are covered in felt color.Dimensions: L121 x P45 x H91 cm. 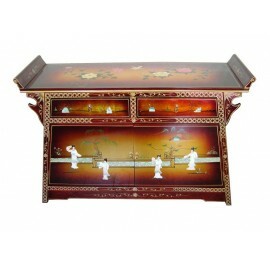 Buffet bean lacquered chinese.The drawers of this furniture Asia are covered with felt. Fittings chinese are brass.Dimensions: L109 x P36 x H89 cm. 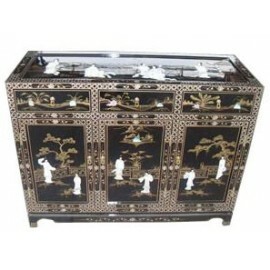 Buffet lacquered chinese.The drawers of this furniture Asia are covered with felt. The fittings of the chinese are of brass.Dimensions: L107 x P41 x H86 cm. 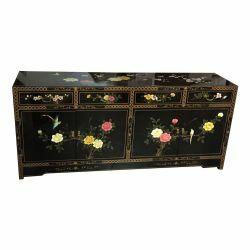 Buffet chiois lacquered gilded and inlaid mother-of-pearlThe drawers of this furniture from Asia are covered in felt color. 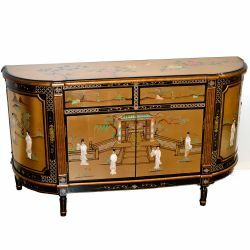 The fittings of the chinese are of brass.Dimensions: L152 x P46 x H79 cm. 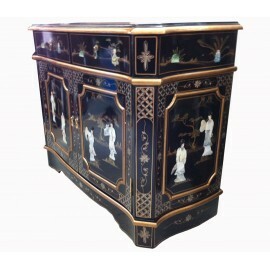 Buffet in black lacquer with a stripe of gold.The drawers of this furniture from Asia are covered in felt color. The fittings of the chinese are of brass.Dimensions: L150 x P45 x H70 cm. 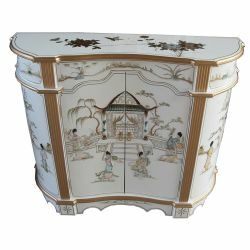 Buffet lacquered chinese panels cut.Dimensions: L121 x P53 x H76 cm.